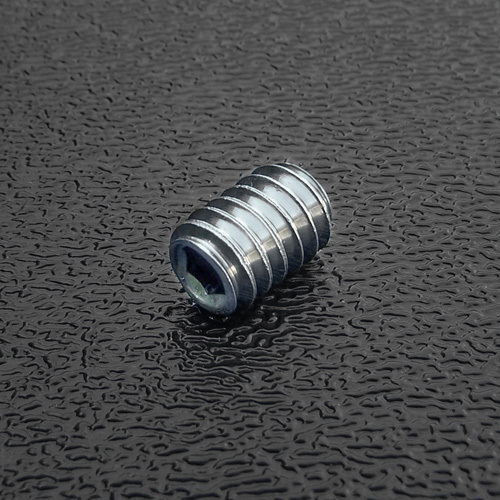 Micro-Tilt Neck Adjustment Set Screw for American Series Strat's® or Tele's® (Standard or Deluxe). Oval point for smooth rotation friction against the circular metal plate on neck when adjusting. Accepts 1/8" hex wrench for adjustment. These will NOT work with the '70s style Strat/Tele 3-bolt neck with the micro-tilt adjust neck, those micro-tilt neck adjustment set screws are available here.